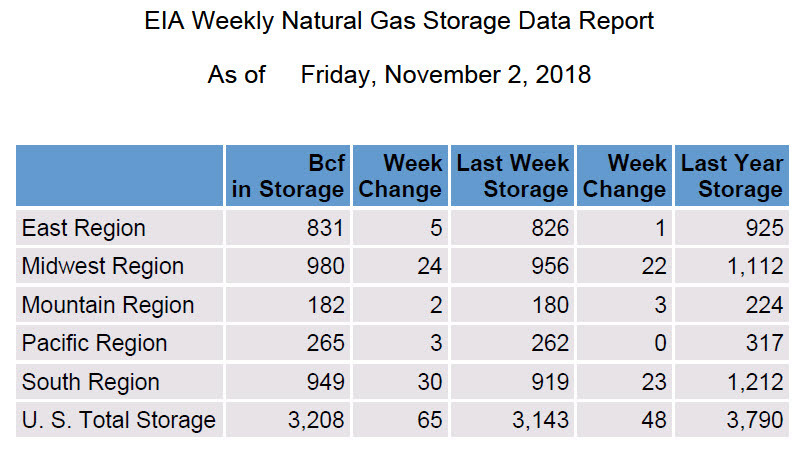 The EIA reported a 65 Bcf Injection for the week ending November 2, 2018. The injection was greater than the average, 55 Bcf, for this week of the year, and greater than the average of expectations of a 57 Bcf injection. Prices initially dropped 4 cents with the release of the report but with a choppy recovery ended down only 1 cent. 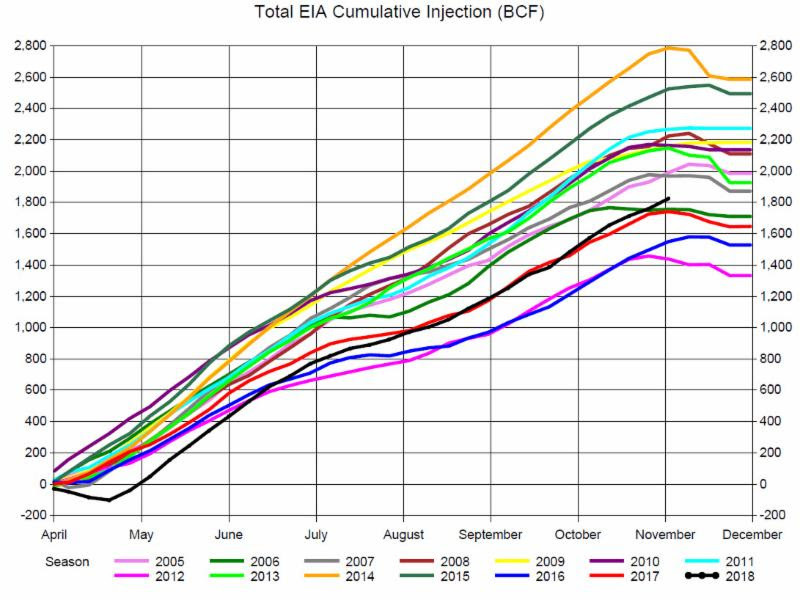 As we expected, Storage at end of the Injection Season is close to 3,200 Bcf. 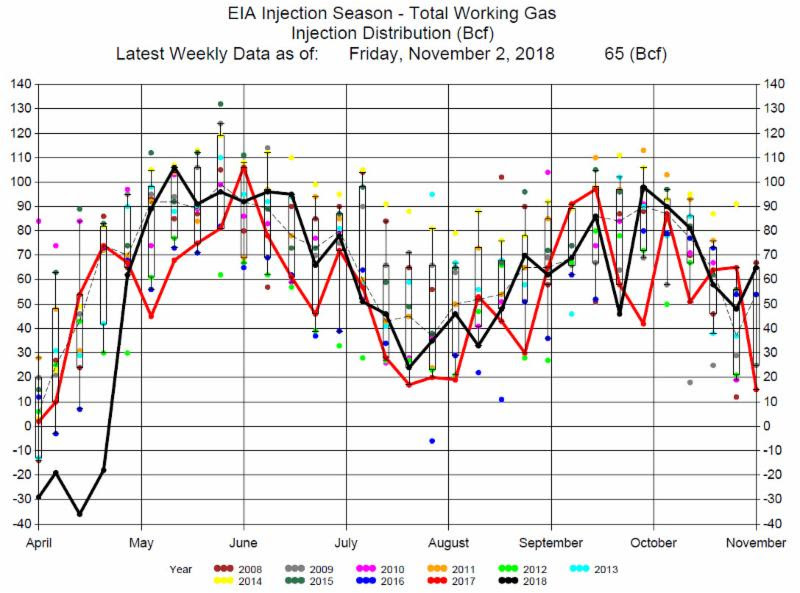 While November 1 is usually the end of the Injection Season, some analysts believe there could be one or two more weeks of small injections. However, this will still be the lowest storage level in the last 12 years. Last Sunday a weather forecast of early cold weather caused the market to gap up 20 cents on the Monday open of trading, ending the day up 28 cents at $3.57. For the rest of the week prices traded around $3.56. 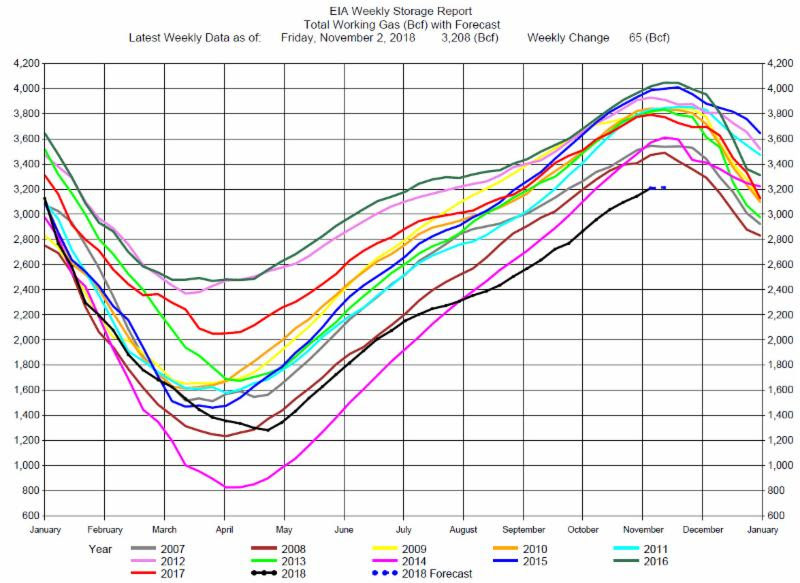 This reaction to the first cold weather of the season suggests higher prices with more seasonally cold weather. With the market in steep backwardation we recommend consideration of long positions in calendar spreads. We would be happy to discuss this commentary with you and provide additional market insights. Feel free to call us at 312-348-7518 or email us at joel.fingerman@fundamentalanalytics.com.